Media Center of the Army of Serbia "Defense" at a ceremony held at the Army Hall in Belgrade awarded the Charter Dimitriju Vujadinović for successfully organizing the exhibition - Bread in the Great War. 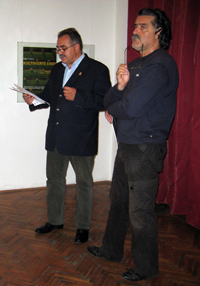 The exhibition was held in the gallery of the Army Hall from 11 to 21 May 2016. .
Medija centar Vojske Srbije "Odbrana" na svečanosti održanoj u Domu vojske u Beogradu dodelio je Zahvalnicu Dimitriju Vujadinoviću za uspešno organizovanje izložbe - Hleb u Velikom ratu. 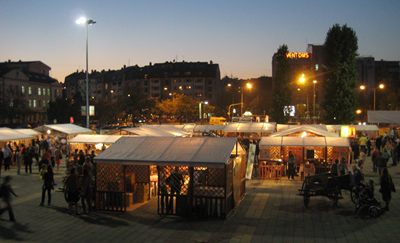 Izložba je održana u galeriji Doma vojske od 11 do 21 maja 2016 godine. The Balkankult Foundation in the context of its program Bread Cultural Heritage, is planning on building a Danube watermill based on authentic design plans. 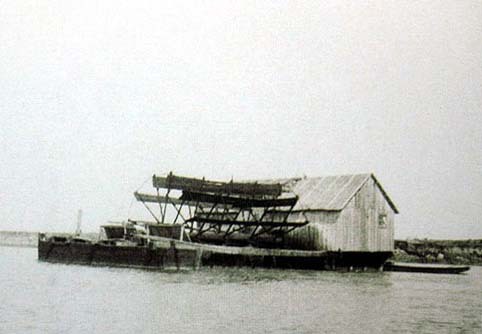 It is well-known that by the beginning of the 20th century there wasn't a town on the Danube, in the fertile Pannonian Plain, which didn't have at least several watermills. Today there is not a single watermill along the Danube, whether as an economic structure or a structure of cultural heritage. The significant attributes of the economic and cultural history of the Danube region is unjustifiably neglected. The structure would, along with its everyday use of producing flour, have the purpose of being its own kind of exhibition space aimed at presenting the culture and tradition of mills and bread in the Danube region. In that context, educational and exhibitonal activities would be aimed at the significance of the event - orientation towards the visitor. This way the program emphasis would be on the visitor's experience, which is a tendency of modern exhibitions elsewhere in the world. 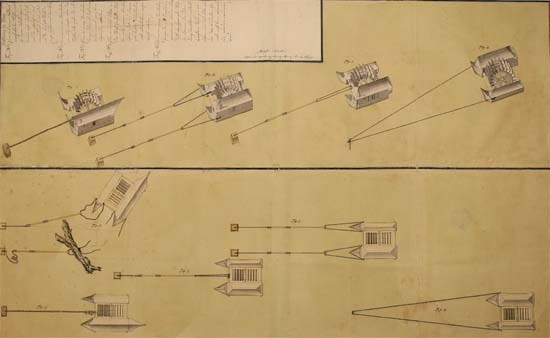 The authentic architecture and area where the structure would be located, would undoubtedly be an important aspect of the work's overall success. In the context of the central celebration of Days of European Heritage, which is being held in the city of Zajecar this year from the Balkankult collection have been exhibited posters from the Bread Culture Museum in Ulm. The poster exhibition has been opened by Dimitrije Vujadinovic. 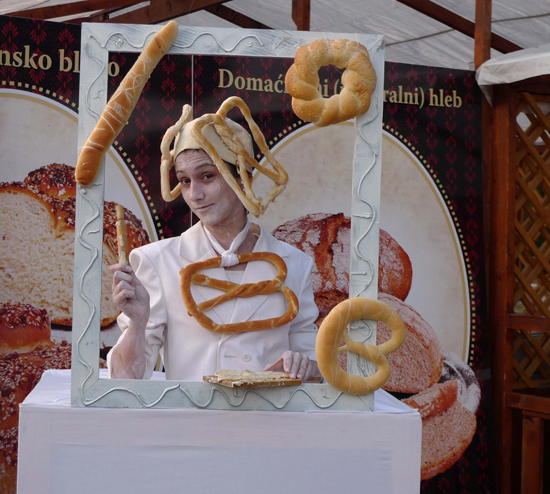 In Southeastern Serbia in the city of Pirot a stage event was held on the topic of bread culture and the activities of the Serbian bread museum – Jeremija, on August 20th. 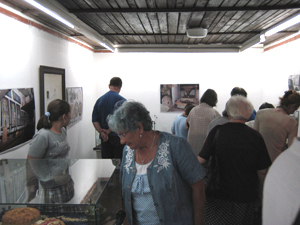 The event was held in the Museum of the Nis Region within the event program of "Days of Bread". 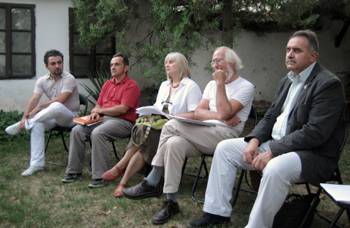 Speeches were held by: Slobodan Jeremić Jeremija, founder and owner of the Serbian bread museum, Dimitrije Vujadinović, director of the Bread Festival in Novi Sad, professor Radoslav Pajčić and Davor Lazarecić, historian. 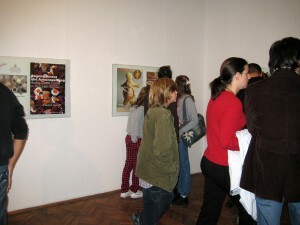 After the stage event an exhibition of religious holiday breads was opened at the Museum gallery as well as an exhibition of Slobodan Jeremić's oil paintings. 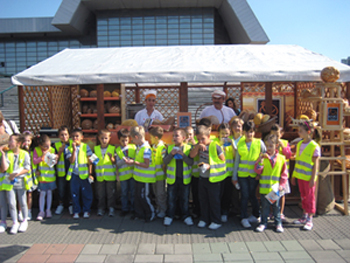 This year's fourth international bread festival has been held and was characterized by a large attendance of preschool and elementary school children as well as by inovations in the baking industry, new products and healthy breads, which several companies have presented during the event. 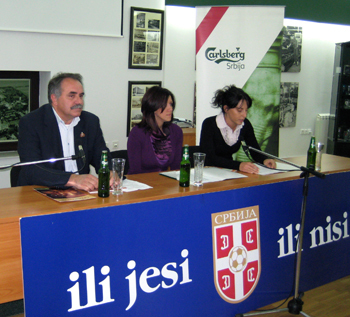 In the Beer Museum of the company Carlsberg Serbia, the book “Beer Bread” by Dimitrije Vujadinovic was presented on Thursday, October 28th. This unique and unsual book contains texts about the history of bread and beer, as well as fifty recipes for making bread which cannot be bought at bakeries. 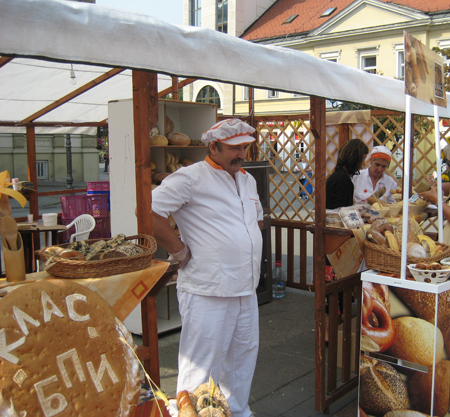 They are recipes for original types of bread made from beer and medicinal herbs, fruit and vegetables, like for example onion bread, basil bread, parmesan bread, apricot bread... Their main characteristic lies in their gastronomic uniqueness and nutritional value.